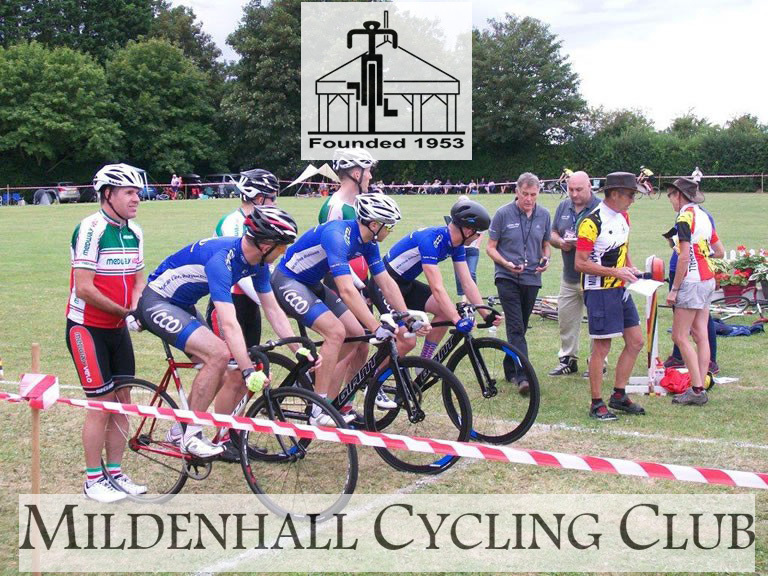 Mildenhall Cycling Club have announced a major change to their annual cycling event. Their three-day Mildenhall Cycling Festival will be much smaller this year with a small selection of events taking place on the Saturday & Sunday of the August Bank-Holiday weekend. 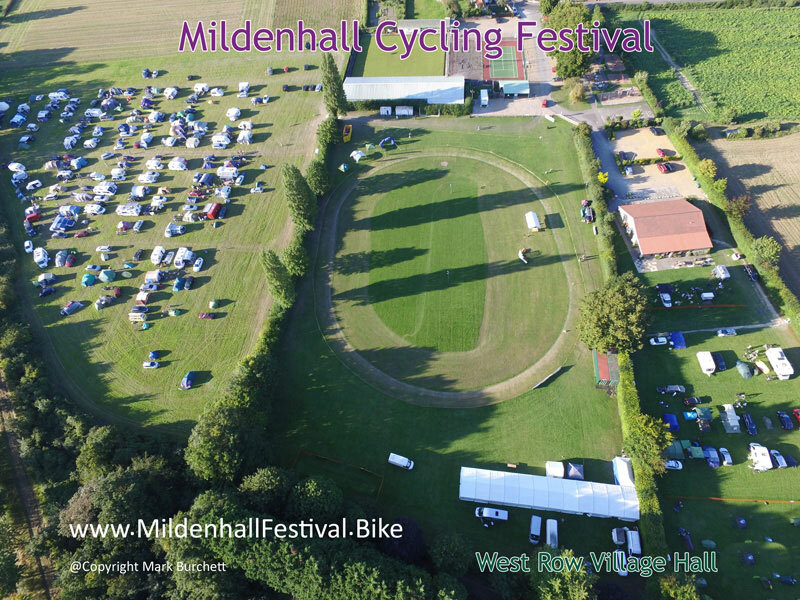 Reflecting this change, the event will be known as the Mildenhall Mini-Cycling Fest and still located in nearby West Row with its wonderful facilities set in a peaceful and tranquil rural setting around the Village Hall, where refreshments will be provided from over the two-days. It is just under three miles from Mildenhall which can be reached very safely by cycle using the tarmacked Wamil Way bridleway. Headlining the two-days of grass-track racing will be Sunday’s Ladies National 800m Championship. It is expected that the meeting will still attract the country’s top riders given Mildenhall’s reputation for grass-track racing as well as staging rounds of the National Endurance and Sprint Leagues. Juvenile racing will be on the Saturday. For the touring cyclist, C.T.C. (Cyclists Touring Club) Suffolk will be offering 57, 100, 160, 200 & 300km timed- touring rides on the Saturday, under the auspices of the Audax organisation. After last year’s successful trialling, the organisers will promote the ‘Come and Try It On/Off Road Time Trial’. This will allow competitors on the Saturday morning to pit their wits against the clock over a mixed 23km course of byways, tarmac and Fenland Droves! This is a unique type of course that only the Fens can offer. Despite this, every single rider that competed inlast year’s test event, for time-trialling’s governing body in the UK Cycling Time-Trials (CTT), thoroughly enjoyed it. On Saturday afternoon & evening there will be a Cycle Jumble held in the Village Hall. Although camping on site will unfortunately no longer be available, West Row has three campsites and the organisers are very much encouraging regular visitors to previous events to still come and spend the weekend in Suffolk cycling and at the Mini-Fest. “It has been testament to the hard work and professionalism of the committed organising committee that an individual cycling club was ever able to promote an event of that magnitude which has become synonymous with cycling.” added Mr Burchett. The Festival and its predecessor the Cycling Rally, have always attracted many up and coming names from the world of cycling including the Mildenhall Club’s very own Golden Member Victoria Pendleton CBE and more recently Laura Kenny CBE, both of whom went on to become Olympic and World Champions! Other well-known cyclists to have ridden at Mildenhall before going onto international fame include welsh starlet Nicole Cooke MBE, Ben Swift, Jason Kenny OBE and Steve Burke MBE.